Practicing more and more with shading styles and such. 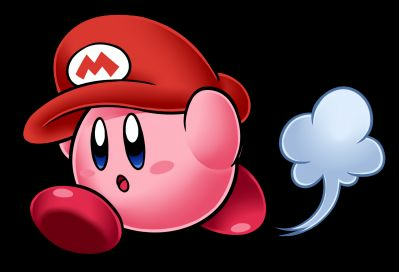 I needed Kirby to be wearing a hat, so I somehow ended up making it a Mario one in the process. Wow, this looks really professional! Great work! This looks amazingly official! You really have a knack for that now. Nice work!